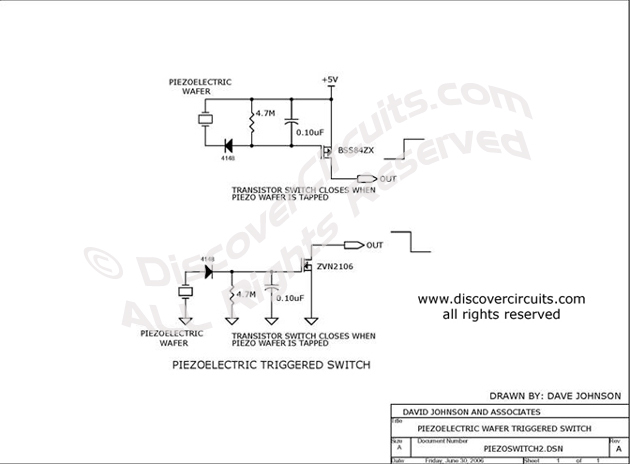 Circuit: Piezoelectric Triggered Switch __ Circuit designed by David A. Johnson, P.E. Two different switch circuits are shown. One sources current and the second sinks current. Both switches are connected to a piezoelectric wafer. When the wafer is tapped, the switches are activated.